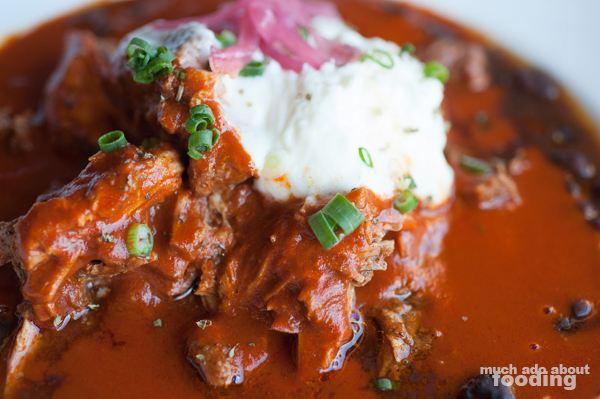 Starting tomorrow is Dine Out Long Beach Restaurant Week which runs from February 29th to March 5th, and we know there are plenty of excited people out there ready to indulge in what Long Beach has to offer. Based on the list of participating restaurants, this week will surely do well. 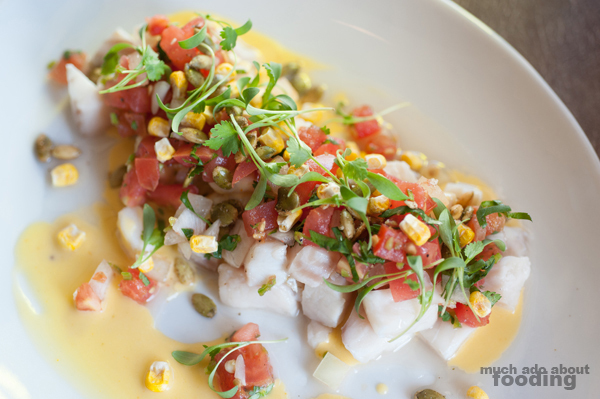 We were invited to visit some of the restaurants on that list, and one of those was the lovely Panxa Cocina which is focused on Latin flavors and ingredients. Their participation in Dine Out Long Beach is a fantastic opportunity to give their dishes a try not only because of the value but the quality of the food. Our experience was great when we came in for an early dinner, and it wasn't only the service that was splendid. There is definitely some Latin lovin' in their plates! 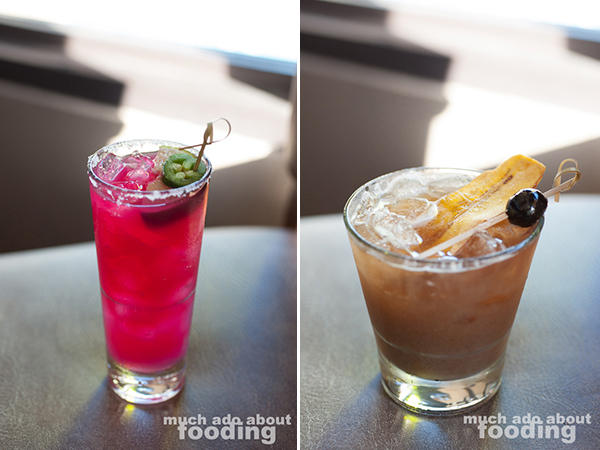 Though not necessarily on the Restaurant Week menu, cocktails at Panxa Cocina piqued our interest with their interesting, unique components. 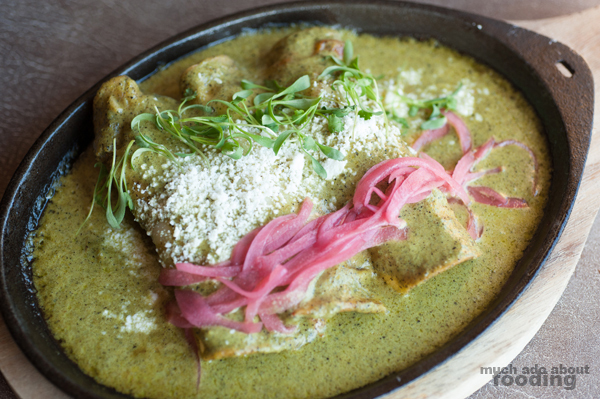 Not only did the restaurant's interior reflect the Latin and New Mexican identity but so did these concoctions. Duc opted for the neon-pink Smokey the Pear ($10 - El Silencio Espadin, Espelon Reposado, lime juice, prickly pear, and serrano peppers) while I selected their Platano New Fashioned ($10 - Dickel Rye whiskey, banana simple syrup, and walnut bitters) which came garnished with a plantain slice and a skewered amarena cherry. There was a slight bitterness to the audaciously-colored cocktail but overall, it went smoothly and easily could be drunk; the reposado had an oak-y spice that came through most prominently. For the New Fashioned, I liked how the use of banana simple syrup seemed to highlight the whiskey better. Slightly sweet but wholeheartedly solid in whiskey's own way, this is a great cocktail to sip on while awaiting food. Through the restaurant week menu, a diner would have a choice among three different starters - the Betabel Salad ($9 - frisee, watercress, agave roasted beets, jicama, red chile "candied" almonds, hibiscus vinaigrette, and Bleu cheese crema), Ceviche Mixto ($12 - whitefish, pico de gallo, and pepitas), or Potato-Cheddar Pancakes ($8 - hatch green chile-apple chutney and crema). 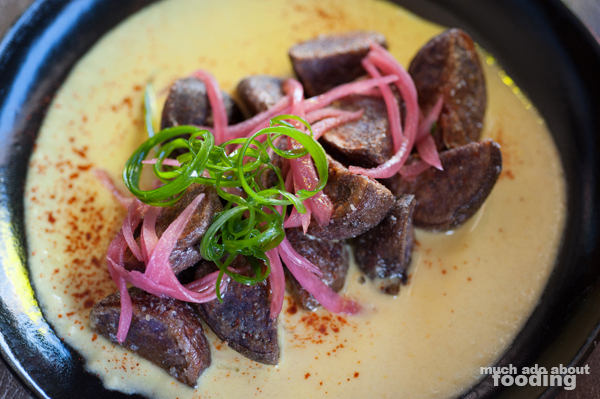 We opted for the first two as well as a side of their Purple Peruvian Potato Fondue ($9 - herb-roasted baby potatoes and aji amarillo-asiago fondue) because who can resist cheese? The salad had a nice balance in textures between crunchy and soft but overall, came off a tad uninspired. 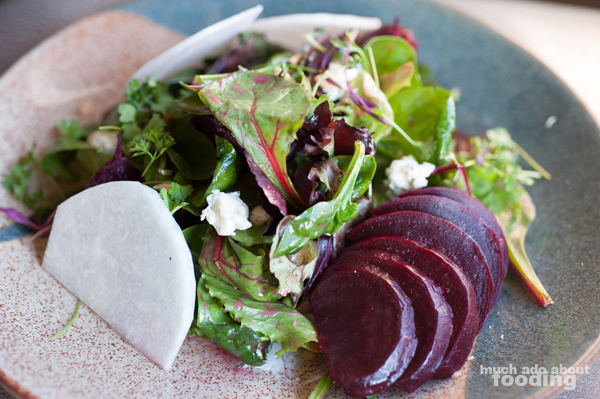 We liked the unique factor of using hisbiscus for the vinaigrette but at the end of the day, it was not dissimilar to other beet salads out there. On the other hand, the ceviche was outstanding! 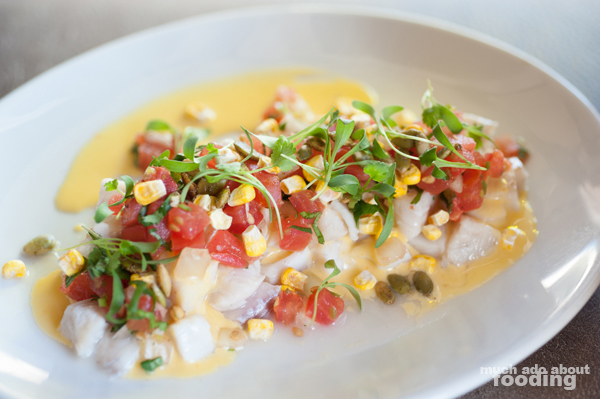 For their fish, they use tilapia which did surprisingly well in the ceviche style, having been marinated in lemon, lime, and grapefruit juices. The pepitas were a fine touch to the overall dish, lending a needed nuttiness and subtle crunch. We were even enamored by the yellow Peruvian chili lemon sauce that came with it all, offset by the vegetal bitterness of microgreens. What a tasty dish! As for the extra side of fondue that we got, it was roasted very well and utterly savory though got salty after prolonged eating. Second courses choices for the restaurant week menu include their Seafood Enchiladas ($18 - lobster, crab, shrimp, and charred Poblano cream), Burrata & Pork Adovada ($22 - choice of tortillas or grilled bread; black beans, pickled vegetables, and salsa), Stacked Enchiladas ($14 - choice of short rib, chicken, or pork; chimayo red chile, hatch green chile or "Christmas"/both), and Chimayo Pozole ($12 - choice of chicken, beef, or pork; pickled slaw, radish, onion, cilantro, and grilled bread). Our choices were the first two on that list so we could get two very different types of dishes. The seafood enchiladas were generously filled with lobster, crab, and shrimp, and the cream that smothered each roll was lip-smacking satisfying. Creamy and rich, the sauce brought everything together beautifully and yet felt light enough to guarantee several more bites. We really enjoyed just how much of the seafood we also got to have with every bite as Panxa did not skimp on the fillings. As for the adovada, talk about comfort food! We had this with a side of handmade corn tortillas which came steaming hot and thick alongside the pickled vegetables and salsa. While we really enjoyed the savory sauce and well-cooked black beans, it was a little surprising that the pork felt a little dry. The burrata helped smooth that bit out and of course, the beans were the tasty majority of the plate. To finish off the meal, you get two dessert choices: Mezcal Toffee Pudding ($10 - date cake, pinon praline, mezcal date sauce, and chantilly cream) or Mayan Chocolate ($10 - flourless chocolate cake). 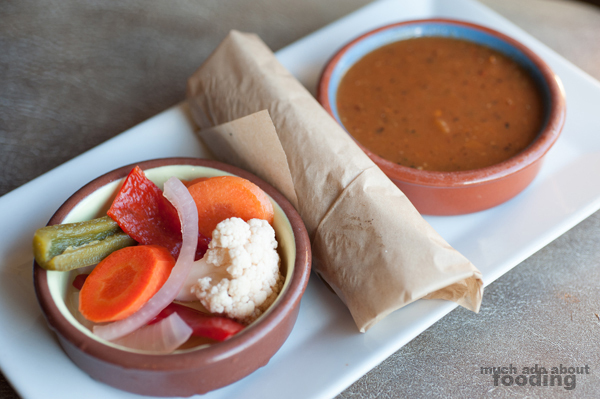 How could we say no to something as interesting as mezcal date sauce? It was presented beautifully and eaten quickly. The cake was extremely moist with the right amount of sweetness and the crumbled praline surrounding everything added a great crunch factor. 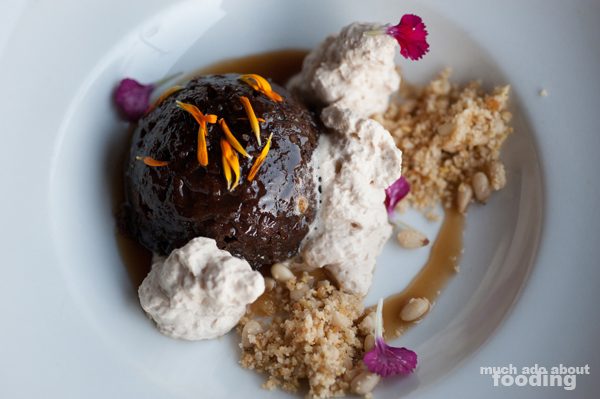 Though we didn't get to see what the flourless chocolate cake would be, we'd recommend you shoot for the toffee pudding. 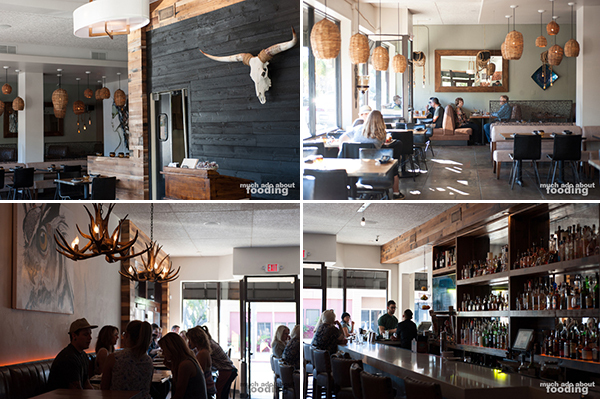 If Panxa Cocina is on your list for Dine Out Long Beach, find them at 3937 E Broadway, Long Beach, CA 90803!